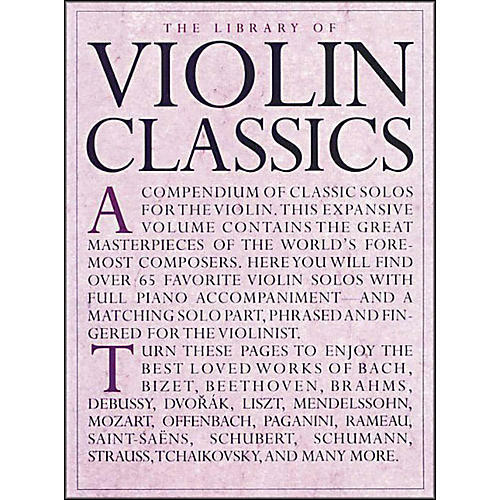 A compendium of classic solos for the violin. This expansive volume contains the great masterpieces of the world's foremost composers. Over 50 favourite violin solos with full piano accompaniment and a separate matching solo part for the violinist. Carefully selected to provide a lifetime of playing pleasure for every performer. Spiral bound.